On an average night walking along Lonsdale Street in Braddon, you can’t help but be drawn toward the lights, beats and aromas beaming from the traditional Thai-Lao hotspot, Zaab. Instantly welcomed into the venue like one of the family, you will be greeted at the front of house by owner Becky, while brother, Su shakes up one of Zaab’s famous cocktails at the bar, and after the friendly staff take your order dad will cook you up a treat in the kitchen. Opening its doors only last year, Zaab has already earned its place as a go-to for a delicious bite to eat, drink and night out in the city. 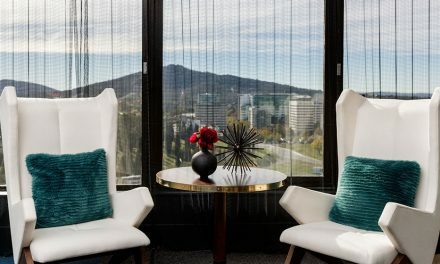 A truly unique dining experience for Canberra, the food and atmosphere instantly transport you to the traditional flavours and hum of the streets of Thailand and Laos. The interior is inviting with authentic furniture sent directly from Thailand – mixed with textured, dimmed lights to create a sense of nostalgia. 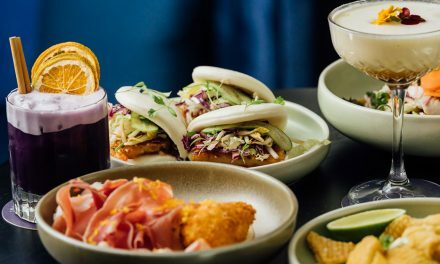 “The idea for Zaab came to me about eight years ago, basically I was brought up around all this amazing food but you couldn’t get it here in Canberra,” Becky says. The name ‘Zaab’ has two different meanings in two different languages. In Lao it means delicious food and in Thai it means extra spicy, sour, sweet and salty – and boy does it live up to its name! 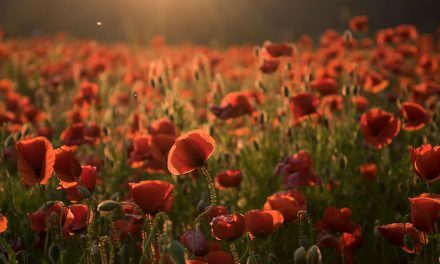 “Zaab isn’t just a word, it is an intensity, it’s sweet, sour and spicy – that’s what we’re all about,” Becky explains. 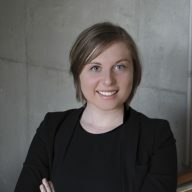 As a cocktail lover herself, Becky admits that Zaab had to have an amazing bar to succeed in her eyes. With a number of delicious drinks that comprise all the ingredients of home, there were a couple of new additions that we had to try! The first being the Screaming Zaab. Encapsulating the full essence of its name, the Screaming Zaab uses two of the staple beverages of Thailand; Red Bull and beer. 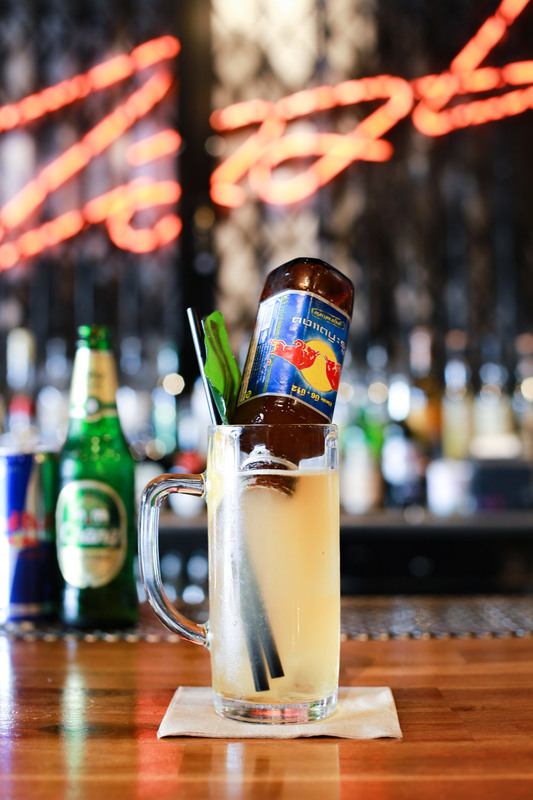 Dubbed the bar’s very own version of a ‘lager-ita’, the concoction combines Espolon Blanco tequila, grapefruit, kaffir lime, agave, chilli, Red Bull and Beer Chang. Creatively using the small Red Bull bottles direct from Thailand, the Red Bull slowly releases into the drink to disperse the perfect amount of energy drink through the mix as you go – so don’t pull out the bottle! The second is the Floating Market. Although this is only listed once on the menu, this is a bespoke mix that you can change up to suit your taste. 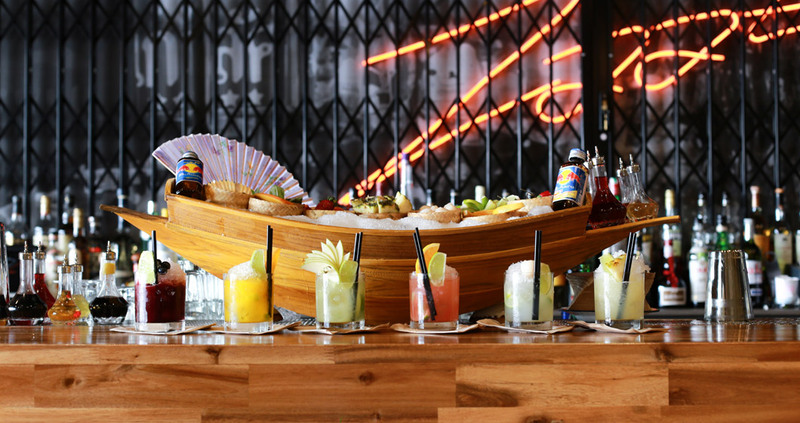 Named after the floating fruit markets of Thailand, you can choose either a Sagatiba Pura Cachaca or Ketel One Vodka base with lime and sugar, and your choice of fresh fruit from the floating market perched on top of the bar. After sampling the fruits of the bar we fully immersed ourselves into the traditional cuisine. First up is the Betel Leaf, this dish is a staple of the menu and a must-try for any Zaab first-time diner. Presented in a soup spoon, the leaf encases a blend of peanuts, coconut, lime, traditional herbs and a sprinkle of fresh chilli. 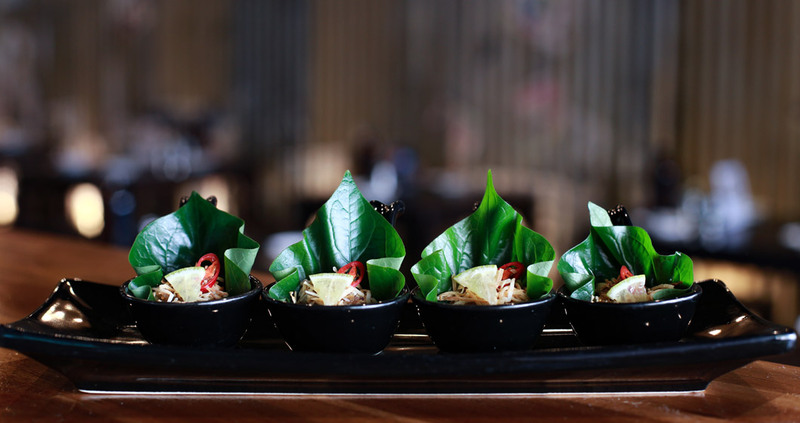 This starter is designed to be eaten in one bite, so wrap the myriad of textures in the delicate betel leaf and throw it all into your mouth at once. 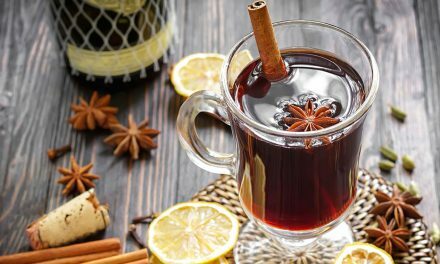 It’s sweet and savoury flavours feature a healthy kick of heat and citrus to wake up the palate for the feast to follow. Next, we moved onto my personal favourite, the Crispy Rice Salad. Although the dish is something I wouldn’t feel compelled to order off the menu, I first stumbled upon this delicious dish when I simply asked the team to ‘Feed Me’ – an option on the menu where the kitchen decide which dishes are sent out to your table, ensuring the perfect Zaab experience. The salad is served on two large lettuce leaves and atop the greenery is a whack of sweet and sour flavours that are incredibly more-ish. 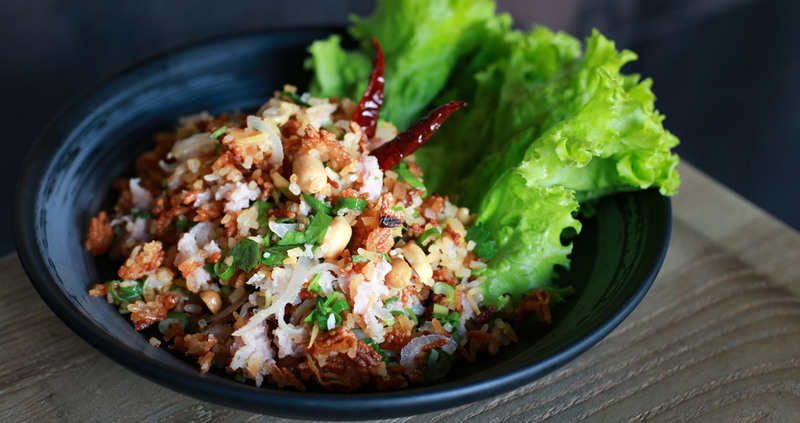 The combination of the sour cured pork with the crispy fried rice and fresh peanuts is absolutely captivating. With Zaab already attracting a full-house most nights, the guys are now trying their hand at the lunch time and late night trade of Lonsdale Street. “We are planning a completely different concept for lunch with a more café-style setup. Six dishes will be on rotation changing every month, with three noodle dishes and three rice dishes, plus some street food options like skewers,” Becky says. We were lucky enough to sample two of the noodle dishes to be released this month for lunch service. 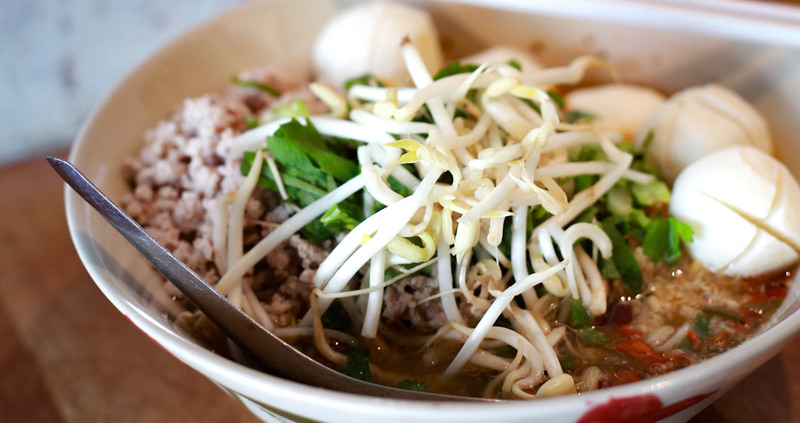 Starting with the Beef Boat Noodles, this is the perfect dish for the cooler months ahead. 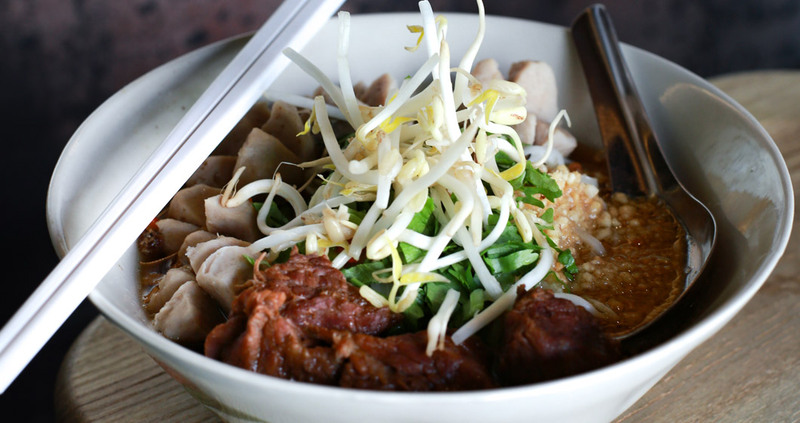 The bowl combines slow-cooked beef, broth, beef balls, rice noodles, bean sprouts, a bunch of herbs including aniseed, cinnamon sticks, goji berries and bay leaves – all together exuding a pleasant and warming aroma. The slow-cooked beef is full of flavour and simply falls apart to the touch, making the perfect contrast to the beef balls made of minced meat and fresh, crunchy bean sprouts throughout. On a spicier note, we sampled the Pork Tom Yum Noodles – a cleaver play on the traditional soup that encapsulates the true meaning of the word Zaab. To tweak the dish to your own preference, each noodle dish is served with a condiment set of sweet fish sauce, fresh chilli and vinegar – just in case you want to make it a little more Zaab! 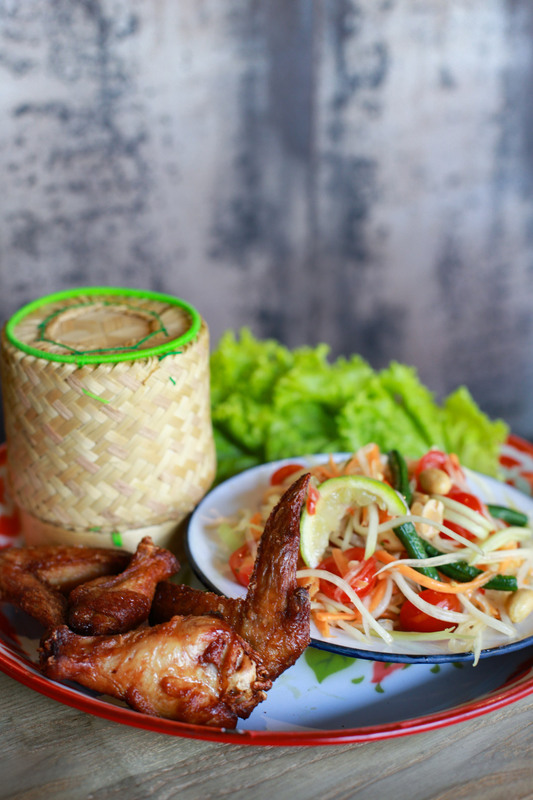 To finish on a traditional note, we were presented the Som Tum with a side of chicken wings and sticky rice. This dish features green paw paw, tomatoes, snake beans and chilli dried shrimps. An important thing to remember with this one is the longer you let it sit in your mouth, the spicier it gets! This dish exhibits the cool mouth-feel of the green paw paw with a wicked punch of chilli. The chicken wings add an element of charcoal and street feel to the dish with a hand full of sticky rice to keep the spice hit at bay. 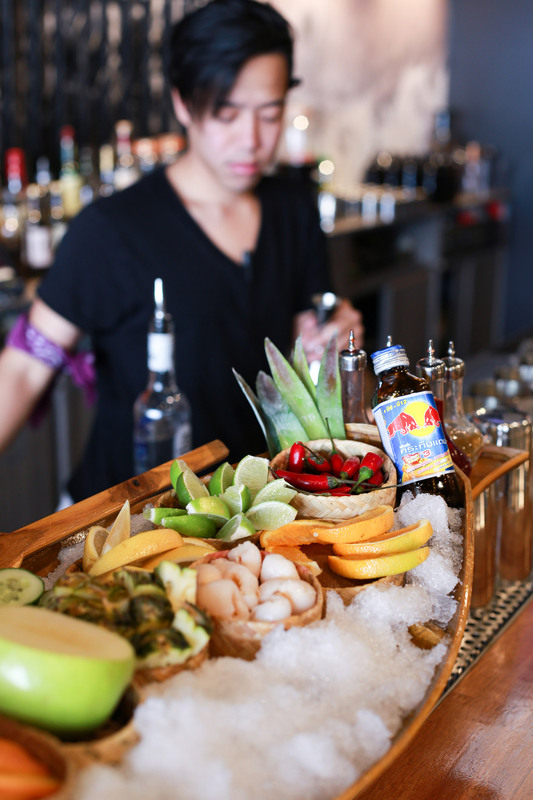 So next time you’re wandering the streets of Braddon, transport yourself to the buzzing streets of Thailand with Zaab’s traditional flavours combined with a modern, pumping vibe and, of course, a delectable range of sweet, sour and spicy cocktails at the bar.